Sindh Governor Dr Ishratul Ebad Khan has summoned the Sindh Assembly session on Friday (tomorrow). 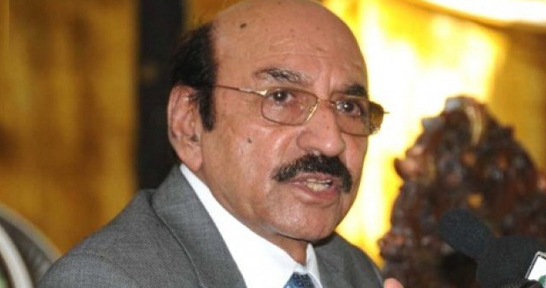 The session has been convened on the recommendation of Chief Minister Qaim Ali Shah. It will be the fifth session of the fourth parliamentary year of the House. The two major coalition partners, the Pakistan People’s Party (PPP) and the Muttahida Qaumi Movement (MQM), have still not developed consensus over the draft of what they have been referring to as the “new local government system”. Therefore, there it is unlikely that legislation on the local government system would be presented in the session. Apparently, the session has been called only to fulfil the constitutional requirement of completing the parliamentary days of the assembly. National People’s Party’s lawmaker, Arif Mustafa Jatoi had recently written a letter to Speaker Nisar Ahmed Khuhro, drawing his attention towards the low number of sittings during the current year. After the 18th Constitutional Amendment, the House should hold sittings for at least 100 days in a parliamentary year. Jatoi had stated in his letter that during the current parliamentary year, the Sindh Assembly had remained in session for 34 days only. He had pointed out that the current parliamentary year will end on April 4 next year, and the House will have to hold sittings for more 74 days. According to official records, the last session of the Sindh Assembly was convened on July 22 and prorogued the next day. It was the session when the House had passed the law to restore the commissionerate system in the province, amid strong opposition from MQM members.